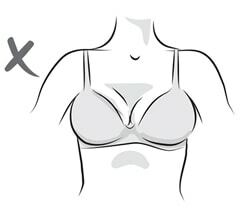 Home > Bra Fitting Guide > Take The Fit Test! 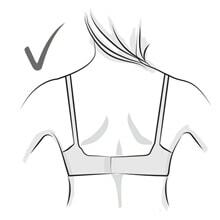 When you stand side on and look in the mirror, is the back of your bra higher than the front (rather than in a straight line around your body) ? 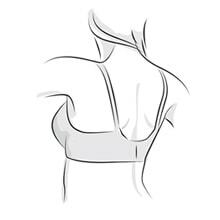 Do your breasts spill over the top of your bra cup leaving lumps under a fitted top? Does the underwire at the side of your bra feel soft and squidgy when you touch it? 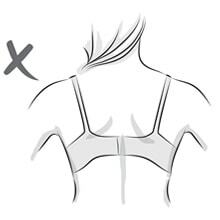 Are your clothes size and bra band size mismatched? Find your clothes size in our chart below then look at the corresponding bra band size. 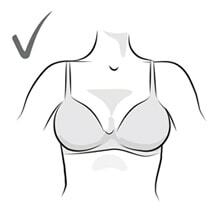 If you are wearing a bigger bra band size than shown, then it is probably wrong ! If you answered yes to any of these questions – take the test! Ready to take the Fit Test? 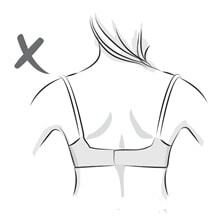 If you think your bra band might be too loose go down a band size and up a cup size (as demonstrated with the grey cells in the table below). For example, if you wear a 36C and the band is too loose, go down to a 34D. And if it’s very loose go down further to a 32DD or 30E. REMEMBER: if you go down one or two sizes in the band, you need to go up the same number of sizes in the cup to get the same amount of room in the cup. 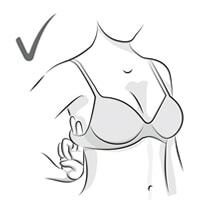 The center gore should sit flat against your sternum between your breasts and all of your breast tissue should be contained within the cups, with no bulging. The underwire should feel hard when you press it. 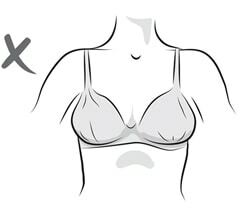 The cups are too small if our breasts bulge over, under or at the sides. 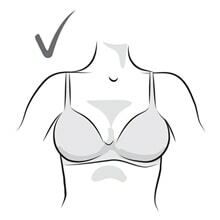 The cups are too small if the centre gore is lifting off your rib cage and the underwire feels squidgy when you press it. The cups are too big if they are wrinkling or gaping. Step 5 If your cup fits well, then stick with the size you found on our Size Chart. If not, simply change the cup one more size as needed. Now you have your correct bra size – time to go shopping! If you want a quicker answer – then let us do the work for you – simply put your measurements into our Bra Size Calculator and we’ll tell you your size!